Today we're reviewing a pair of newly released cat books. We hope you enjoy our choices! From the publisher: Many a domestic cat leads a good life. Pampered, well-fed and often the centre of much attention, the cat is skilful in getting its own way. In this fascinating and fun book, you can discover many of the cats’ secrets, which you too can use to great effect. as well as get more pleasure out of your day…and life. 6o entries with bite-sized explanations accompanied by simple yet evocative line illustration makes this the ideal gift. Tortie Shorties Review: This sweet little gift book will look right at home on any cat lover's bookshelf, filled with words of wisdom about how to better your own life by taking lessons from your cat. 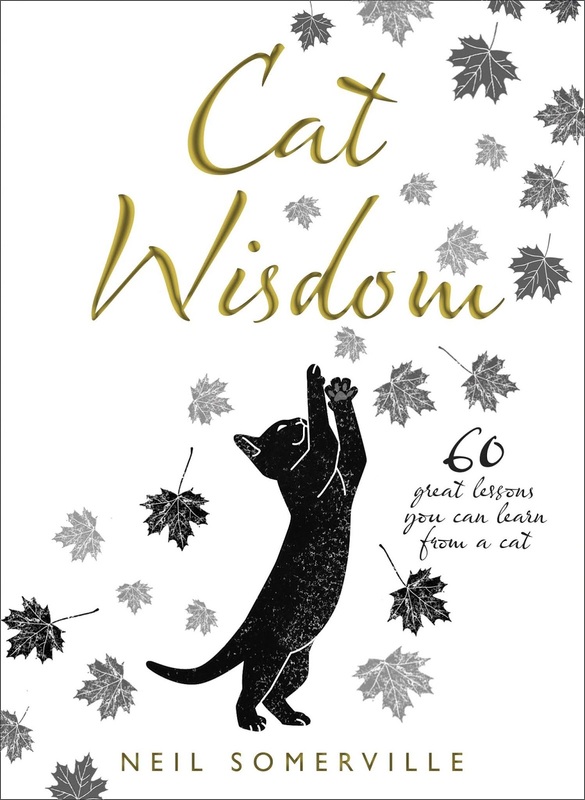 Anyone who shares their home with a feline friend will recognize the wisdom contained within its pages, but with the crazy lives we humans lead a refresher course is always welcome! I especially enjoyed the darling illustrations and famous cat quote on each page. Each one would be suitable for framing! From the publisher: We remember the bold seafarers of yore—from Magellan to Shackleton—for their extraordinary exploits: new lands discovered, storms weathered, and battles won. But somehow history has neglected the stalwart, hardworking species who made it all possible . . . yes, the noble cat! In Seafurrers, able sea cat Bart sets the record straight at last. “Fear of water” aside, cats were indispensable at sea—both as pest controllers and as beloved mascots. Thirty–eight tales recount the adventures of Trim (who circumnavigated Australia), Tom (the sole feline survivor of the sinking of the USS Maine), celebrity cat Simon (a veteran of the Yangtze Incident), and other furry heroes. Filled with nautical trivia, rare photographs, and whimsical illustrations, this deft genealogy of human–feline friendship will stir your regard for the incomparable cat—whether on the couch or in the crow’s nest! 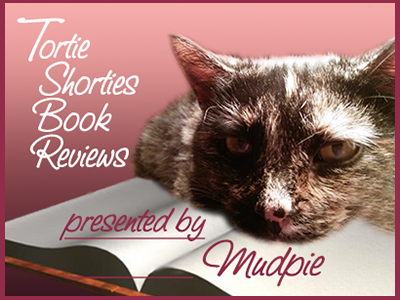 Tortie Shorties Review: A fun look inside the history of a seaman's best friend - the cat! Each section begins with a journal entry or news article about a ship's cat, sometimes accompanied by a photo, and then transitions into a narrative related in some way to the excerpt. 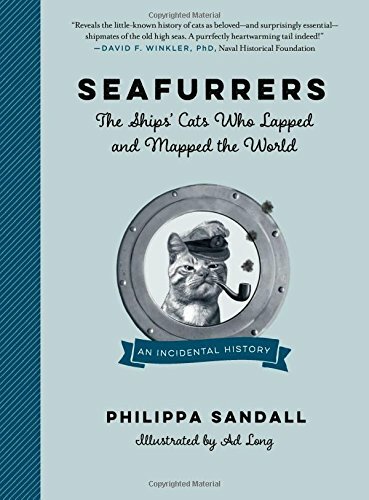 My favorite passages included stories on ghost ships and a group of penguins that befriended some seafurrers, although in some places I found the maritime history not related to cats to be a bit dry causing me to do a little skimming. Lots of fascinating information presented in a creative way. Disclaimer: I received free copies of these books from the authors and publishers in exchange for a fair and honest review. As members of the Amazon Associates affiliate program, if you click on our links and buy something Mudpie gets a little money for her piggy bank! Both sound like wonderful reads. I'll have to recommend them to these two book fiends. These sound like such fun reads! More books should be focused on the life lessons we can learn from cats. After all, cats are so very wise. Purrs! Both sound like good book additions, though we bet we'd argue over some of that wisdom. Some cats, who shall remain anonymous, think their wisdom is the ONLY wisdom. MOL! Wow, two really cool books! Thank you for the reviews! I love the Seafurrers book, it looks so much fun!! ha ha--still laughing at that photo of the cat in the captain's hat and pipe! Both sound like good books. I love the cover of Cat Wisdom. 12 Amazing Facts About Me!